Dark violet color. Sweet aromas of pomegranate, black cherry, orange confection, and violet with a slightly chewy, crisp, fruity light-to-medium body and a tingling, engaging, relaxed graphite and charred nuts finish with light oak flavor. A juicy grenache with a nice pop of fruity-floral flavor. 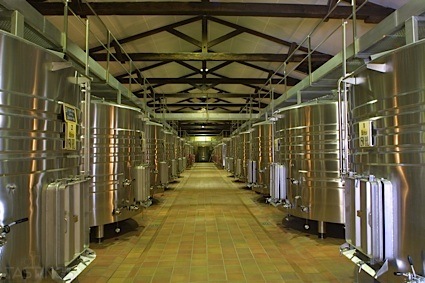 Bottom Line: A juicy grenache with a nice pop of fruity-floral flavor. 93 • Z-Force 2014 Shiraz, McLaren Vale 14.5% (Australia) $44.00. 91 • Zonte’s Footstep 2015 Scarlet LadyBird Rosé, Fleurieu Peninsula 13.5% (Australia) $14.28. 90 • Zonte’s Footstep NV Bolle Felici "Prosecco", McLaren Vale 11% (Australia) $14.28. 88 • Zonte’s Footstep 2015 "Doctoressa di Lago", Pinot Grigio, Adelaide Hills 13% (Australia) $18.00. 92 • Zonte’s Footstep 2015 "Excalibur", Sauvignon Blanc, Adelaide Hills 12.5% (Australia) $18.00. 91 • Zonte’s Footstep 2015 "Scarlet Ladybird" Rose, Fleurieu Peninsula 13.5% (Australia) $18.00. 90 • Zonte’s Footstep 2014 "Peacock’s Fan", Grenache, McLaren Vale 14.5% (Australia) $25.00. 90 • Zonte’s Footstep NV "Bolle Felici", Fleurieu Peninsula 11% (Australia) $18.00. 90 • Zonte’s Footstep 2015 "Chocolate Factory", Shiraz, McLaren Vale 14.5% (Australia) $20.00. 92 • Zonte’s Footstep 2015 "Lake Doctor", Shiraz, Langhorne Creek 14.5% (Australia) $20.00. 93 • Zonte’s Footstep 2015 "Baron Von Nemesis", Shiraz, Barossa Valley 14.5% (Australia) $28.00. 92 • Zonte’s Footstep 2015 "Hills Are Alive", Shiraz, Adelaide Hills 14.5% (Australia) $28.00. 93 • Zonte’s Footstep 2015 "Avalon Tree", Cabernet Sauvignon, Fleurieu Peninsula 14.5% (Australia) $20.00. 90 • Zonte’s Footstep 2015 "Violet Beaureguard", Malbec, Langhorne Creek 14% (Australia) $20.00. 86 • Zonte’s Footstep 2015 "Canto di Lago, Fleurieu Peninsula 14.5% (Australia) $20.00. 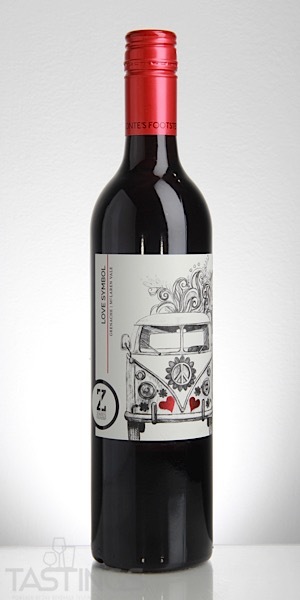 90 • Zonte’s Footstep 2015 "Love Symbol", Grenache, McLaren Vale 14.5% (Australia) $20.00. 87 • Zonte’s Footstep NV Bolle Felici Prosecco, Fleurieu Peninsula 11% (Australia) $20.00. 92 • Zonte’s Footstep 2016 Scarlet Ladybird Rosé, Fleurieu Peninsula 13.5% (Australia) $20.00. 92 • Zonte’s Footstep 2014 Z-Force Reserve, McLaren Vale 14.5% (Australia) $55.00. 91 • Zonte’s Footstep 2016 Lake Doctor, Shiraz, Langhorne Creek 14.5% (Australia) $25.00. 91 • Zonte’s Footstep 2016 Baron Von Nemesis, Shiraz, Barossa Valley 14.5% (Australia) $35.00. 86 • Zonte’s Footstep 2016 Hills Are Alive, Shiraz, Adelaide Hills 14.5% (Australia) $35.00. 85 • Zonte’s Footstep 2016 Love Symbol, Grenache, McLaren Vale 14.5% (Australia) $25.00. 90 • Zonte’s Footstep 2016 Chocolate Factory, Shiraz, McLaren Vale 14.5% (Australia) $25.00. 92 • Zonte’s Footstep 2016 Lake Doctor, Shiraz, Langhorne Creek 14.5% (Australia) $20.00. 89 • Zonte’s Footstep 2016 Chocolate Factory, Shiraz, McLaren Vale 14.5% (Australia) $20.00. 84 • Zonte’s Footstep 2017 Excalibur, Sauvignon Blanc, Adelaide Hills 13% (Australia) $18.00. 89 • Zonte’s Footstep 2017 Doctoressa Di Lago, Pinot Grigio, Adelaide Hills 13% (Australia) $18.00. 91 • Zonte’s Footstep 2017 Scarlet Ladybird Rosé, Fleurieu Peninsula 13.5% (Australia) $18.00. 87 • Zonte’s Footstep 2017 Lady Marmalade, Vermentino, Fleurieu Peninsula 13% (Australia) $18.00. 89 • Zonte’s Footstep 2016 Violet Beauregard, Malbec, Langhorne Creek 14% (Australia) $20.00. 94 • Zonte’s Footstep 2016 Love Symbol, Grenache, McLaren Vale 14.5% (Australia) $20.00. 89 • Zonte’s Footstep 2015 Canto di Lago, Sangiovese-Barbera-Lagrein, Fleurieu Peninsula 14.5% (Australia) $20.00. 88 • Zonte’s Footstep 2017 Doctoress di Lago, Pinot Grigio, Adelaide Hills 13.5% (Australia) $18.00. 86 • Zonte’s Footstep 2017 Excalibur, Sauvignon Blanc, Adelaide Hills 13% (Australia) $18.00. 82 • Zonte’s Footstep 2017 Lady Marmalade, Vermentino, Fleurieu Peninsula 13% (Australia) $18.00. 87 • Zonte’s Footstep 2016 Dawn Patrol, Pinot Noir, Adelaide Hills 13% (Australia) $25.00. 92 • Zonte’s Footstep 2017 Scarlet Ladybird Rosé, Fleurieu Peninsula 13.5% (Australia) $23.00. 88 • Zonte’s Footstep 2016 Blackberry Patch, Cabernet Sauvignon, Fleurieu Peninsula 14.5% (Australia) $20.00. 91 • Zonte’s Footstep 2016 Violet Beauregard, Malbec, Langhorne Creek 14% (Australia) $20.00. 92 • Zonte’s Footstep 2016 Love Symbol, Grenache, McLaren Vale 14.5% (Australia) $20.00. 91 • Zonte’s Footstep 2016 Canto Di Lago, Sangiovese-Barbera-Lagrein, Fleurieu Peninsula 14.5% (Australia) $20.00. 90 • Zonte’s Footstep 2016 Lake Doctor, Shiraz, Langhorne Creek 14.5% (Australia) $20.00. 90 • Zonte’s Footstep 2016 Baron Von Nemesis, Shiraz, Barossa Valley 14.5% (Australia) $25.00. 91 • Zonte’s Footstep 2016 Hills Are Alive, Shiraz, Adelaide Hills 14.5% (Australia) $25.00. 91 • Zonte’s Footstep 2015 Z Force, Shiraz, McLaren Vale 14.5% (Australia) $40.00. 90 • Zonte’s Footstep 2018 Shades of Gris, Pinot Grigio, Adelaide Hills 13.5% (Australia) $20.00. 87 • Zonte’s Footstep 2018 Lady Marmalade, Vermentino, Fleurieu Peninsula 13% (Australia) $20.00. 89 • Zonte’s Footstep 2018 Excalibur, Sauvignon Blanc, Adelaide Hills 13% (Australia) $20.00. 84 • Zonte’s Footstep 2017 Dusk til Dawn, Chardonnay, Adelaide Hills 13% (Australia) $30.00. 88 • Zonte’s Footstep 2017 Dawn Patrol, Pinot Noir, Adelaide Hills 13% (Australia) $30.00. 95 • Zonte’s Footstep 2016 Chocolate Factory, Shiraz, McLaren Vale 14.5% (Australia) $25.00. 87 • Zonte’s Footstep 2016 Lake Doctor, Shiraz, Langhorne Creek 14.5% (Australia) $25.00. 93 • Zonte’s Footstep 2017 Baron Von Nemesis, Shiraz, Barossa Valley 14.5% (Australia) $35.00. 93 • Zonte’s Footstep 2017 Hills Are Alive, Shiraz, Adelaide Hills 14.5% (Australia) $35.00. 92 • Zonte’s Footstep 2016 Violet Beauregard, Malbec, Langhorne Creek 14% (Australia) $25.00. 92 • Zonte’s Footstep 2017 Love Symbol, Grenache, McLaren Vale 14.5% (Australia) $25.00. 88 • Zonte’s Footstep 2016 Blackberry Patch, Cabernet Sauvignon, Fleurieu Peninsula 14.5% (Australia) $25.00. 85 • Zonte’s Footstep 2018 Scarlet Ladybird Rosé, Fleurieu Peninsula 13.5% (Australia) $20.00. 92 • Zonte’s Footstep 2015 Z Force, McLaren Vale 14.5% (Australia) $55.00. 96 • Zonte’s Footstep 2016 Canto Di Lago, Sangiovese-Barbera-Lagrein, Fleurieu Peninsula 14.5% (Australia) $25.00. 88 • Zonte’s Footstep 2018 Excalibur, Sauvignon Blanc, Adelaide Hills 13% (Australia) $18.00. 91 • Zonte’s Footstep 2018 Shades of Gris, Pinot Grigio, Adelaide Hills 13.5% (Australia) $18.00. 88 • Zonte’s Footstep 2018 Lady Marmalade, Vermentino, Fleurieu Peninsula 13% (Australia) $18.00. 92 • Zonte’s Footstep 2018 Scarlet Ladybird Rosé, Fleurieu Peninsula 13.5% (Australia) $18.00. 84 • Zonte’s Footstep 2017 Chocolate Factory, Shiraz, McLaren Vale 14.5% (Australia) $20.00. 87 • Zonte’s Footstep 2017 Lake Doctor, Shiraz, Langhorne Creek 14.5% (Australia) $20.00. 90 • Zonte’s Footstep 2017 Blackberry Patch, Cabernet Sauvignon, Fleurieu Peninsula 14.5% (Australia) $20.00. 87 • Zonte’s Footstep 2017 Violet Beauregard, Malbec, Langhorne Creek 14% (Australia) $20.00. 90 • Zonte’s Footstep 2017 Canto Red Blend, Fleurieu Peninsula 14.5% (Australia) $20.00. 86 • Zonte’s Footstep 2017 Love Symbol, Grenache, McLaren Vale 14.5% (Australia) $20.00. 88 • Zonte’s Footstep 2018 Excalibur, Sauvignon Blanc, Adelaide Hills 13% (Australia) $22.00. 88 • Zonte’s Footstep 2018 Lady Marmalade, Vermentino, Fleurieu Peninsula 13% (Australia) $22.00. 91 • Zonte’s Footstep 2018 Shades of Gris, Pinot Grigio, Adelaide Hills 13.5% (Australia) $22.00. 87 • Zonte’s Footstep 2018 Scarlet Ladybird Rosé, Fleurieu Peninsula 13.5% (Australia) $22.00. 90 • Zonte’s Footstep 2017 Dusk til Dawn, Chardonnay, Adelaide Hills 13.5% (Australia) $35.00. 93 • Zonte’s Footstep 2017 Dawn Patrol, Pinot Noir, Adelaide Hills 13.5% (Australia) $35.00. 88 • Zonte’s Footstep 2017 Chocolate Factory, Shiraz, McLaren Vale 14.5% (Australia) $27.50. 86 • Zonte’s Footstep 2017 Lake Doctor, Shiraz, Langhorne Creek 14.5% (Australia) $27.50. 86 • Zonte’s Footstep 2017 Baron Von Nemesis, Shiraz, Barossa Valley 14.5% (Australia) $35.00. 89 • Zonte’s Footstep 2017 Hills Are Alive, Shiraz, Adelaide Hills 14.5% (Australia) $35.00. 90 • Zonte’s Footstep 2017 Blackberry Patch, Cabernet Sauvignon, Fleurieu Peninsula 14.5% (Australia) $27.50. 90 • Zonte’s Footstep 2017 Canto Red Blend, Sangiovese-Lagrein, Fleurieu Peninsula 14% (Australia) $27.50. 89 • Zonte’s Footstep 2017 Violet Beauregard, Malbec, Langhorne Creek 14% (Australia) $27.50. 88 • Zonte’s Footstep 2017 Love Symbol, Grenache, McLaren Vale 14.5% (Australia) $27.50. 93 • Zonte’s Footstep 2016 Z Force, Shiraz, McLaren Vale 14.5% (Australia) $55.00. Zonte’s Footstep 2017 Love Symbol, Grenache, McLaren Vale rating was calculated by tastings.com to be 88 points out of 100 on 1/11/2019. Please note that MSRP may have changed since the date of our review.